Put the butter and chocolate in a microwave safe bowl and heat it in the microwave for 30 seconds at a time, stirring after each interval. Keep doing this until everything is melted and smooth. Set aside to cool slightly. Crack your eggs into a mixing bowl and add the sugar. Beat them together until they’re pale and foamy and have doubled in size. I recommend letting electricity help you here. 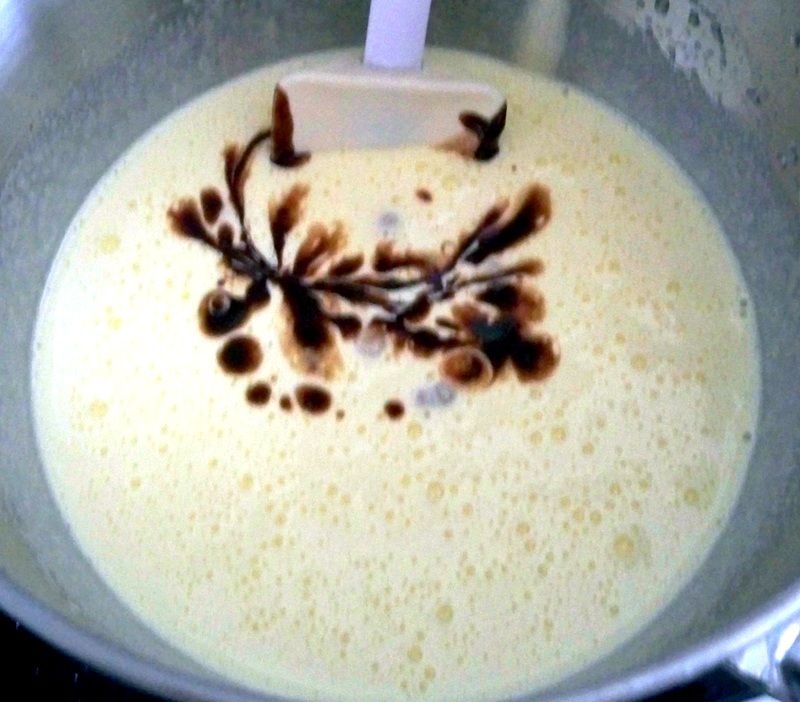 It can be done with a wire whisk, but it will take a long time, and your arm will be tired. You can skip the gym for the day, though. It should look like this. 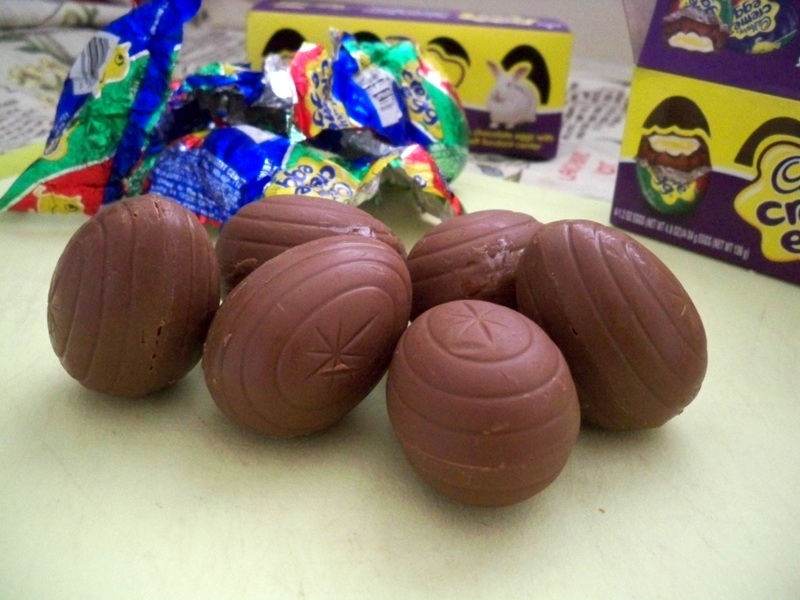 Pour your cooled chocolate into the egg mixture and fold to combine. Sift in the flour and cocoa powder, toss in a pinch of salt, and gently fold that in as well. 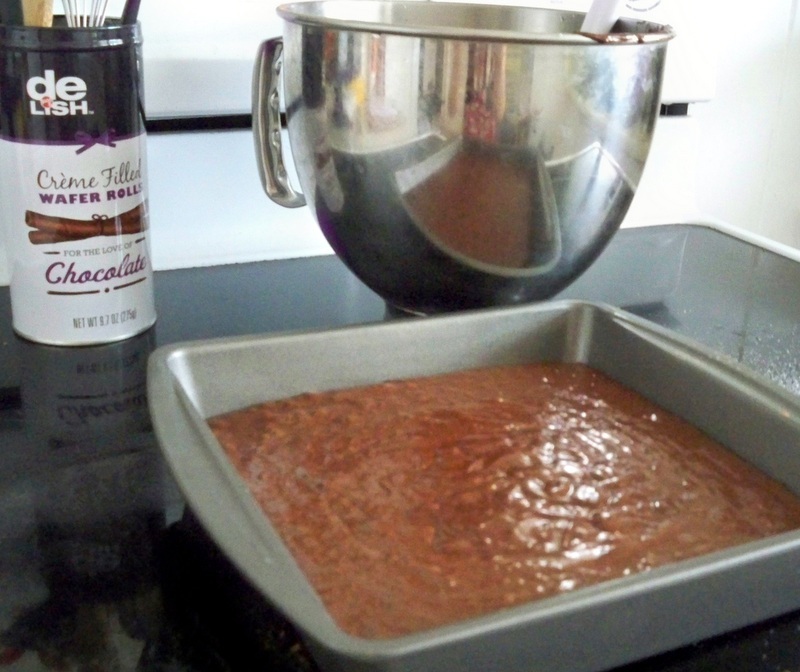 Pour your brownie batter into the prepared pan and bake for 15 minutes. 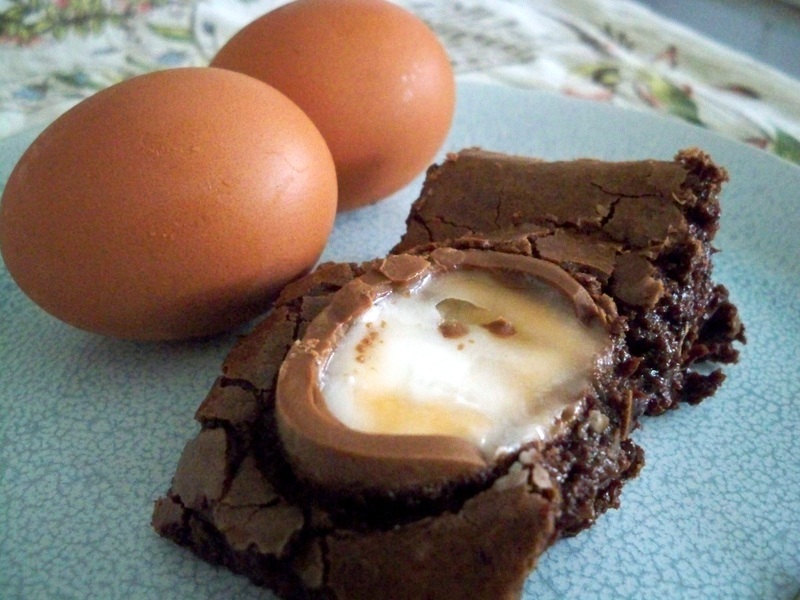 Remove the brownies from the oven and gently press the Creme Eggs, cut side up, into the batter. It will still be plenty soft and gooey at this point. 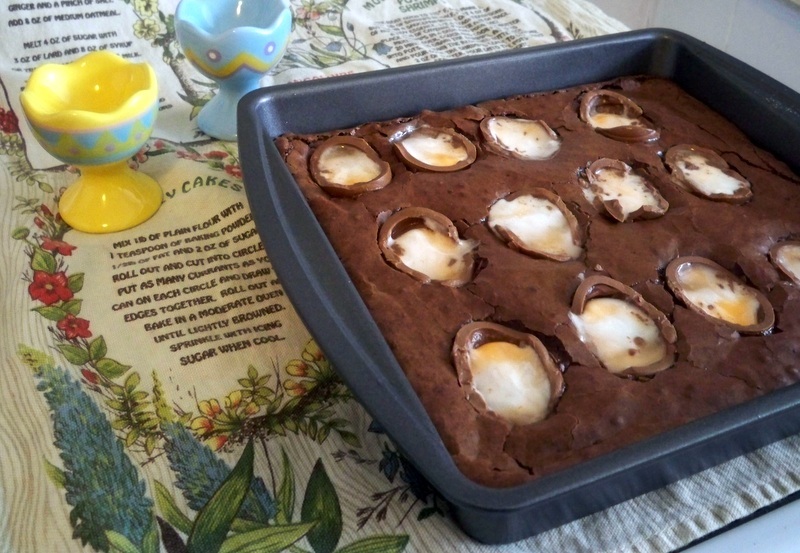 Return the brownies to the oven for another 10-12 minutes depending on your gooeyness preference.